These days, pretty much everyone knows about WordPress. However, when people talk about the platform, they might be referring to either WordPress.com or WordPress.org. If you thought both of them were the same, then you’d be wrong. This could be a problem, especially if you’re considering using either platform to set up your next website without understanding the differences between the two. However, before we get into the technical details, we’re going to explain the basic differences between WordPress.org and WordPress.com. Let’s dig in! As we mentioned earlier, WordPress.org and WordPress.com are not the same. While you’d be forgiven for assuming this, they’re actually two completely different platforms that happen to share the same name. Over the next few sections, we’re going to break down the many differences between WordPress.com and WordPress.org. For now, though, let’s focus on the main thing that separates both platforms, which is hosting. In short, a CMS is a type of software designed to help you create websites and manage massive libraries of content. In WordPress’ case, the platform was developed with blogging in mind, but has since grown to be used for almost any type of website or application. The most prominent difference between the two is how they’re hosted. WordPress.org is often referred to as ‘self-hosted WordPress’, since you have to install it on your own site. Many web hosts will provide one-click installations, making this process much easier, as you don’t need any technical experience to get your WordPress site up and running. In contrast, WordPress.com provides that service for you alongside the blogging software. You get to choose from a variety of plans – including a free one – so you can focus on building your site without worrying about installation and hosting. Now that you know the most basic differences between both platforms, let’s dig deeper. We’re going to compare WordPress.org vs WordPress.com to see how they differ. In this section, we’re going to evaluate how simple it is to get started with WordPress.org vs WordPress.com. More specifically, we’re going to check out the process of setting up a new website and publishing your first post. You can then fill out some personal details to sign up for a WordPress.com account. This account can also be upgraded, which we’ll talk about later. Once your account is ready, you’ll get access to your dashboard. From here, you can manage your account in general, as well as all your WordPress.com websites. Right now, there’s nothing much to see. To fix that, you’ll have to start publishing content, which you can do by hitting the Write button at the top of the screen. Once your first blog post is done, you can preview it to see how it’ll look on the site. You can then hit the Publish button to make the post visible to your site’s visitors. Overall, getting your website up and running with WordPress.com only takes a few minutes. Writing your first basic blog post should also be relatively quick, but will naturally depend on its length and scope. Let’s now look at WordPress.org. To get started with the CMS, you’ll first need to find a hosting provider. This means there’s an extra step involved before you can get to work on your website. However, the good news is you get to pick whichever provider you prefer instead of being bound to a single service. For example, Hostinger provides excellent shared hosting plans at competitive prices. Even with our most basic plan, you get access to a lot of cool features, such as being able to use multiple PHP versions and SSH access. In any case, once you choose a web host and sign up for a plan, you’ll need to install WordPress on your new server. 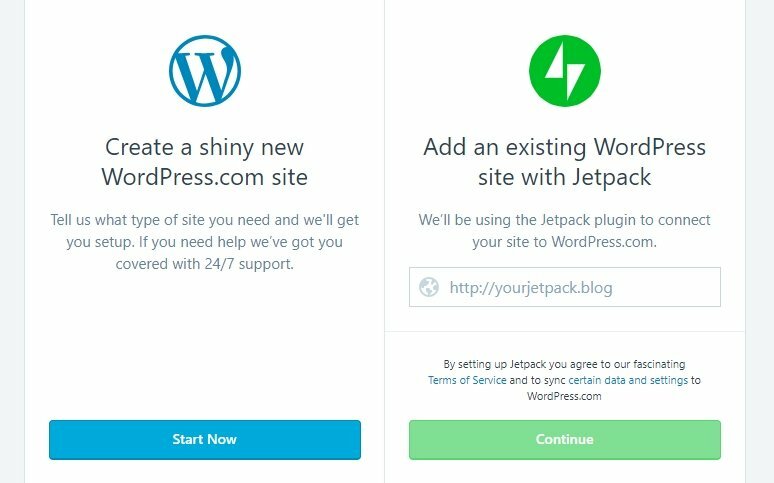 This should only take a few minutes, especially if you’re using a one-click installation, but the process is a little less streamlined than WordPress.com. Just as with WordPress.com, you can set a title for your post and add your content in the editor. Plus, you also get to edit your post’s settings using the options to the right of the screen. Overall, the post-publishing experience between both platforms is pretty comparable. While WordPress.com gets a slight edge when it comes to how simple it is to set up your first site, the two are evenly matched once the site is up and running. While many still associate WordPress exclusively with blogging, both platforms actually enable you to tackle multiple types of projects. In this section, we’re going to talk about each platform’s flexibility and compare WordPress.org vs WordPress.com when it comes to their customization options. Ultimately, what we care about it whether these platforms give you enough freedom to tackle any type of website you want. With WordPress.com, you can use all the same plugins as with WordPress.org. However, the platform’s free plan doesn’t enable you to install any plugins at all. To do so, you’ll need to upgrade to the platform’s Business plan. Going by sheer numbers alone, WordPress.org has a clear advantage when it comes to customization. The freedom to use any plugin or theme will make it much easier to create any type of site, customized to your exact requirements. If you’re an experienced developer, you can even play around further by creating your own themes and plugins, or even edit WordPress itself. In comparison, your customization options are going to be rather limited if you’re using WordPress.com’s free plan. As such, round two of WordPress.org vs WordPress.com goes to the former. There’s no way around the fact that setting up a website costs money. At the very least, you’ll most likely need to pay for hosting and a domain, alongside the number of other fees involved in running a site. Personal ($4 per month): With this plan, you can get rid of WordPress.com ads and get a custom domain name. Premium ($8 per month): Premium users can monetize their websites with ads and use CSS to edit their sites. Business ($25 per month): This plan enables you to add plugins and themes, as well integrating Google Analytics into your site. Which plan you decide to go with depends largely on your site’s goals and purpose. However, to get the most out of the platform, you’ll likely want to go with the Business tier, as its the only one that lets you take full advantage of WordPress’ plugin system. 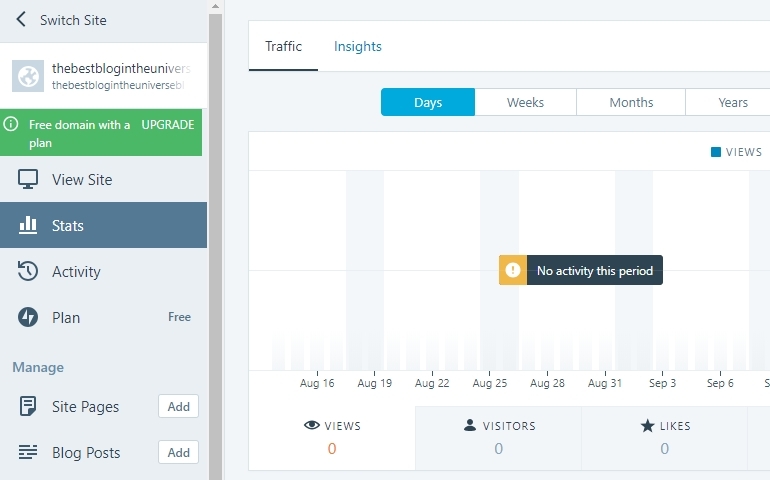 Plus, Google Analytics integration is critical if you want to understand your visitors and track their behavior. With that in mind, to get the most out of WordPress.com, you’ll need to budget at least $25 per month for your website. 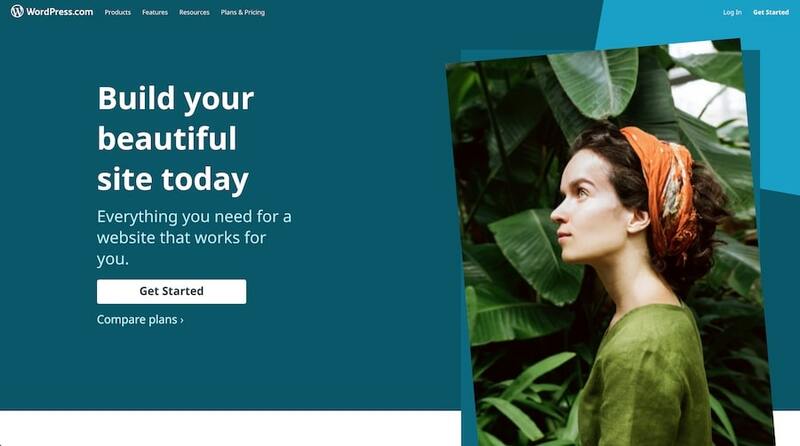 You could stick with the platform’s free version, but that’s not going to get you very far if you’re looking to create a professional website. 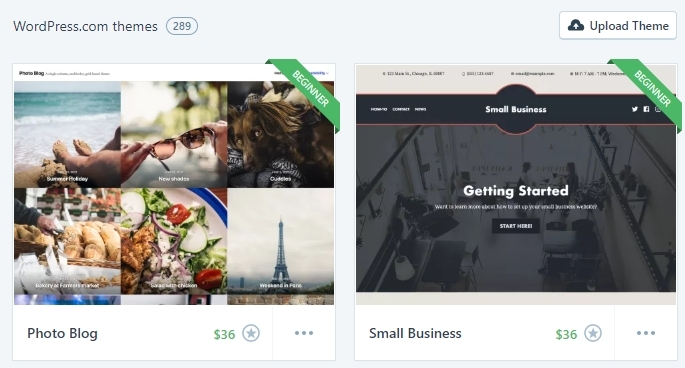 It’s also worth mentioning that there are several premium themes on WordPress.com, with prices usually starting around the $30 mark. While you don’t need to buy a premium theme, they often look a lot better than the free alternatives, so that’s another budgetary consideration. Moving on, let’s talk about WordPress.org. The platform itself won’t cost you a dime, but since you need hosting and a domain, that’s where you’ll want to start looking. Just to give you an idea of what kind of costs you’re looking at, it’s usually possible to find decent shared hosting plans starting at around $5 or less. Those prices go up a bit if you’re looking for a more robust solution, such as a Virtual Private Server (VPS). A VPS can be overkill for a new website, so there may not be a need to jump straight to a more expensive plan right away. When it comes to domains, prices will vary significantly. However, it’s not uncommon to get a regular .com domain that costs around $10 per year. That means you may spend around $15 initially to set up the basics you need to run your website, plus the hosting costs. There are also plenty of premium plugins and themes you may want to use on your website. Costs can vary a lot depending on what type of tool you need, but premium plugins usually start at around $10 for a license, where themes tend to go for over $20-30. Of course, you don’t need to spend money on premium themes or plugins. However, in our experience, most people do splurge a bit in this area, as it will give them an edge to create a successful site. In any case, the initial costs of setting up a website can range from practically zero dollars into the thousands, depending on your plan, hosting, domain, and tools. However, due to the abundance of free and cheap options available, we’re awarding this round of WordPress.org vs WordPress.com to the former. An important consideration for websites of any type is speed. In short, your pages should load quickly, and users shouldn’t be faced with lag and slowdown when interacting with your site. There are many things that can slow down your website that doesn’t really have much to do with which platform you’re using. For example, if you decide to upload several high-quality images to a page without compressing them, it’ll increase your load times. However, whichever platform you’re using needs to provide a baseline of decent performance. WordPress.com does well in this aspect since it’s a hosted platform. In our experience, all its plans provide excellent performance out of the box. Perhaps the best part about using WordPress.com is that you don’t have to worry much about optimization. The platform is consistently fast and there’s no downtime. WordPress.org is a different beast, though. While the software itself is great for performance, your host is an important factor that can determine how fast your site is. Since you can use any hosting provider you want, you need to do your research to find one that provides top-notch performance. In addition, there are also several ways you can improve your site’s performance. For example, you can integrate a Content Delivery Network (CDN) with your website or leverage browser caching, both of which will have a positive effect on your site’s speed. If you’re the kind of person who likes to have control over every little aspect of your site, you’ll likely appreciate this level of freedom. When it comes down to it, speed is an important consideration. While WordPress.com does a lot of the work for you, WordPress.org gives you more freedom to optimize your site. As such, this round of WordPress.org vs WordPress.com goes to the CMS. For the last section of our WordPress.org vs WordPress.com comparison, we’re going to talk about security. Using a secure platform is critical if you want to keep yourself and your visitors safe. You obviously don’t want attackers gaining access to your website and using it to distribute malware or spam. When it comes to security, WordPress.com provides a very hands-off experience. Since you’re using a closed platform, there aren’t many vulnerabilities. Plus, the WordPress.com team takes care of keeping your site safe for you, which means you can focus on other aspects of running your site. WordPress.org, on the other hand, requires you to be much more hands-on when it comes to security. The first thing you’ll need to do is ensure that your web host follows good security practices. Even then, you still need to take a lot of steps to protect your website. All this work can be both a blessing and a curse. For example, you might just want to set up a WordPress security plugin and turn on Two-Factor Authentication (2FA). You can also go a step further and whitelist which IPs you want to be able to access your dashboard and more. The point is that WordPress.org‘s open-source nature enables you to tweak your site’s security settings as little or as much as you want to. We’re the kind of people who appreciate having options, so this round of WordPress.org vs WordPress.com once again goes to the former. It’s incredibly simple to set up a website with the platform. Your dashboard is easy to use, and it packs a decent range of features. 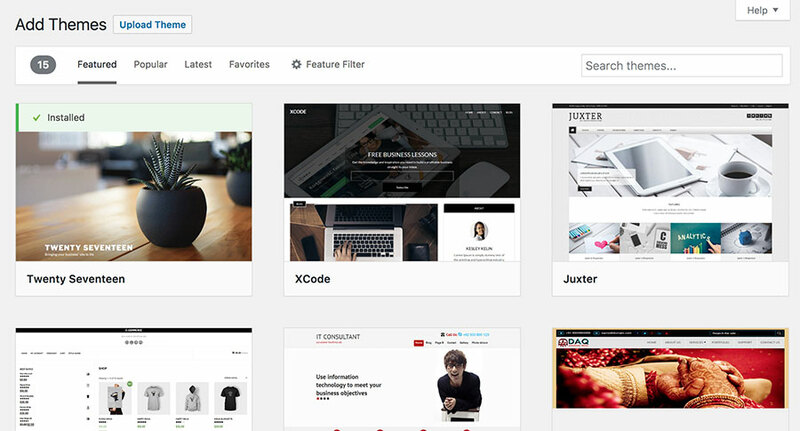 You get access to dozens of free themes. When it comes to performance and security, you can leave it in WordPress.com’s hands. However, there’s one big con to WordPress.com, which is the fact you can’t use plugins unless you decide to splurge for the $25 plan. Plugins are a huge reason why WordPress is such a fantastic platform in the first place, so this is a significant factor. WordPress.com is still an excellent platform if you want to create simple sites quickly. Using it also means you can focus your full attention on growing your website and publishing excellent content, since you don’t have to care about many of the technical aspects. The platform’s open-source nature gives you full control over every aspect of your website. You get to use a straightforward dashboard with a lot of options. You get access to thousands of plugins and themes, which enable you to set up almost any type of site you want. WordPress can run on any web host or server you want, so you’re not bound to a single provider. It’s also worth noting that the WordPress community is incredibly active and helpful. No matter what question you have, chances are you’ll find a tutorial, guide, or developer willing to help you. To be fair, getting started with WordPress.org can involve a slightly steeper learning curve than with WordPress.com. You’ll also need to consider how to secure your website and optimize its performance. However, even those aspects are relatively easy to tackle, even for a beginner. They’re also well worth it when you consider the sheer number of customization options it gives you. With that in mind, it should come as no surprise that when it comes to WordPress.org vs WordPress.com, self-hosted WordPress is our preferred choice. On the surface, there’s a lot in common between these two platforms, hence the WordPress.org vs WordPress.com debate. Although the platforms are essentially brothers, it’s clear that WordPress.org has the edge when it comes to features, due to its open-source nature. That’s not to say there aren’t cases where using WordPress.com is the better option. If you don’t want to worry about hosting and just need a simple website, then it can be a good option for you. However, if you’re the kind of person who wants to be able to customize every aspect of your website, then WordPress.org is the clear victor. Where do you come down on WordPress.org vs WordPress.com? Share your opinions with us in the comments section below!